Lewis Hamilton ended his championship-winning season in style by claiming an untouchable win at the Abu Dhabi Grand Prix — and by sending a warning to his would-be 2019 challengers in the process. Hamilton and Mercedes might have been forgiven for taking things easy at the dead-rubber Yas Marina race after sewing up the constructors title two weeks earlier in Brazil, but the increasingly iconic driver-team partnership wasn’t in the mood to allow rivals any easy wins as the sun set on another successful campaign. The Briton cruised to his 11th pole of the season on Saturday, and he needed only a clean getaway and careful management of the gap to second-placed Sebastian Vettel to convert his front-row start into his 11th victory of the year. Out of the car, Hamilton paid tribute to Vettel and looked forward to continuing the burgeoning rivalry next season. Vettel was gracious in defeat, admitting he had work to do to match Hamilton’s five world titles in 2019. “He’s the champion and he deserves to be the champion,” he said, and later added “Looking back, I haven’t been at the top of my game, so … I think I can be better than I was at times this year. But as much as Vettel must reflect on his own role in his championship defeat, so too must he consider the growth in the Hamilton-Mercedes partnership that made the Briton almost untouchable by the end of the year. From stumbling beginnings early in the year with a car from which he struggled to extract maximum performance, Hamilton has become an unstoppable force after a season of strong personal development, and victory in Abu Dhabi was a key indicator of his progress. Whereas Hamilton has previously has failed to win another race after claiming the championship with races to spare — Nico Rosberg famously used the Briton’s 2015 championship hangover to build momentum for his successful 2016 championship campaign — there has been no such complacency from Lewis this year. Mercedes boss Toto Wolff pinpointed this new psychology as a key area of improvement in Hamilton, saying he believed Hamilton’s post-championship performances were the best of his season. “He’s actually driven stronger after winning the drivers title,” he said. “He said it felt incomplete [to win the drivers title] and that we needed to seal the teams title. Reflecting on his development in 2018, Hamilton said his growing powers were down to fine-tuning his approach outside the car rather than his style in it. 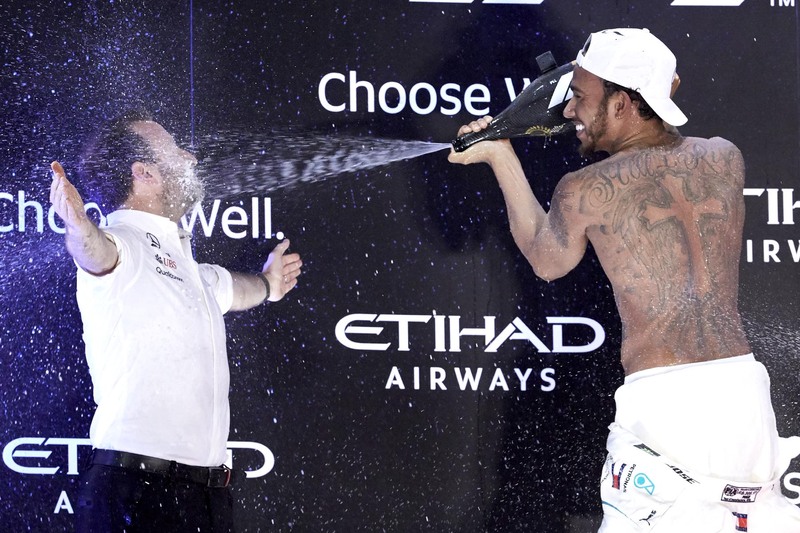 The result in Abu Dhabi might’ve felt like just another win in a long line of Hamilton successes in 2018, but this one was different; his victory was the first strike of his 2019 title campaign, and it will undoubtedly give Vettel and any other would-be championship hopeful pause for thought for the impending off-season.